Yesterday, we told you that West Games, a company comprised of former GSC and 4A staff was planning to build a successor to the seminal open world, atmospheric shooter S.T.A.L.K.E.R. 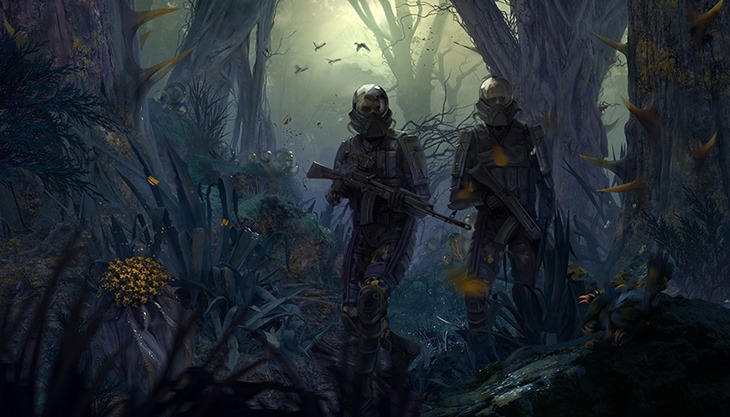 That entire Kickstarter campaign has now been mired in controversy – with Survarium developer Vlostok amongst many claiming that the whole thing is a sham. “So that you understand, over the years of development of the S.T.A.L.K.E.R. and then Metro series, there have been literally hundreds of people involved in working on various bits and pieces, starting from beta-testers up to modellers responsible for certain weapon models. Many people came to the studio to work for a few months just for the sake of adding “S.T.A.L.K.E.R. development” to their portfolio. Frequently they claimed afterwards to be the ‘core’ developers behind the game – you wouldn’t know anyway, right?). His biggest issue is with West Games using footage from Stalker to try and sell this new project. Much of what was shown in the Kickstarter trailer for Areal appears to be stolen Artwork, or bits taken from stock standard demo footage, like this bit from a Unity Demo. The developers of the Misery mod for Stalker claim that the entire thing is a scam, with a fairly convincing list of reasons why they believe the entire thing is a plan to swindle money on Stalker’s good name. Next article Where are the eSport fans?